We recommend not to carry a load exceeding 1/10’ of your weight. No more than 9-12 kilos food and drinks included. With courage you will not have to give up many things normally considered necessary, and make a selection very strict. Our recommendations are a suggestion that can be the basis for your personal choices. The enemy is the weight! 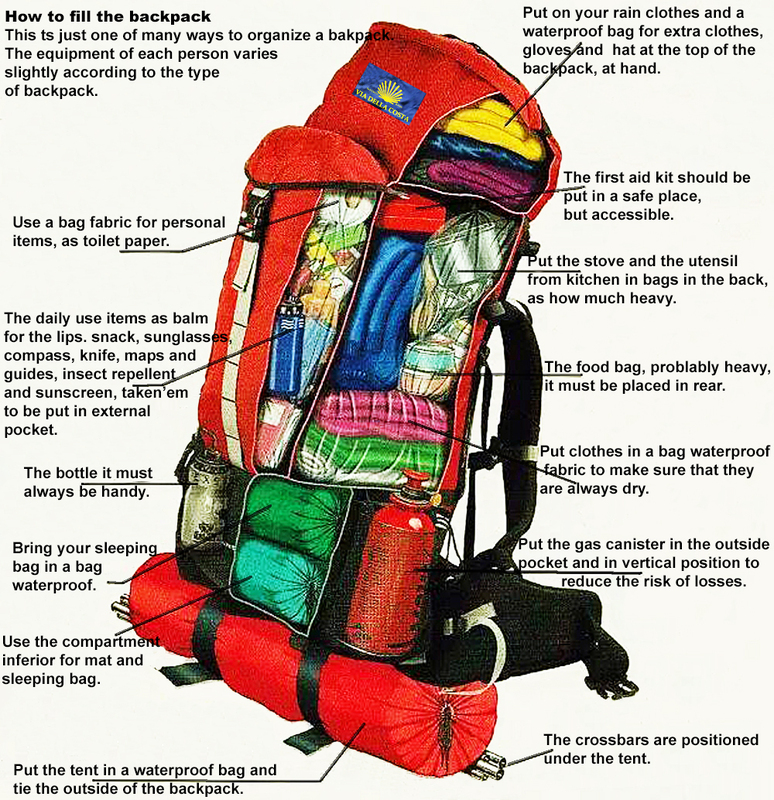 Backpack: between 45 and 60 liters, fitted with rain cover – a walking stick or chopsticks are very useful for the march and to take the weight of the backpack – sleeping bag light type and content. Clothing: equipment summer (the market offers a great selection and reasonable prices of high-tech materials). – two or three shirts – two pairs of pants – two pairs of socks – two pairs of trousers with detachable part below – a fleece – a waxed cape with a hood that covers your backpack – a kway breathable. In the winter add a jacket, a pair of gloves, a heavy fleece . – Footwear: a pair of light sandals also useful for the shower – a pair of walking boots. – The various – a hat – a scarf – sunglasses – a lighter – a plastic cup – a baby carrier to collect the precious (things always carry even in the shower) – a pen – a notebook – a boxcutter – two plastic bottles for water – portable battery – camera. – Sanitary: a towel – soap all-purpose – toothpaste – toothbrush – suntan lotion – disinfectant – needle,thread, scissors and duct tape to cure the bladders – bandages – cream massage of the muscles – anti-diarrheal – antiseptic – paracetamol – plastic bags for wet stuff – brooches and a lanyard to hang your clothes washed. – Documents: Credential – ID card – health card and credit card.